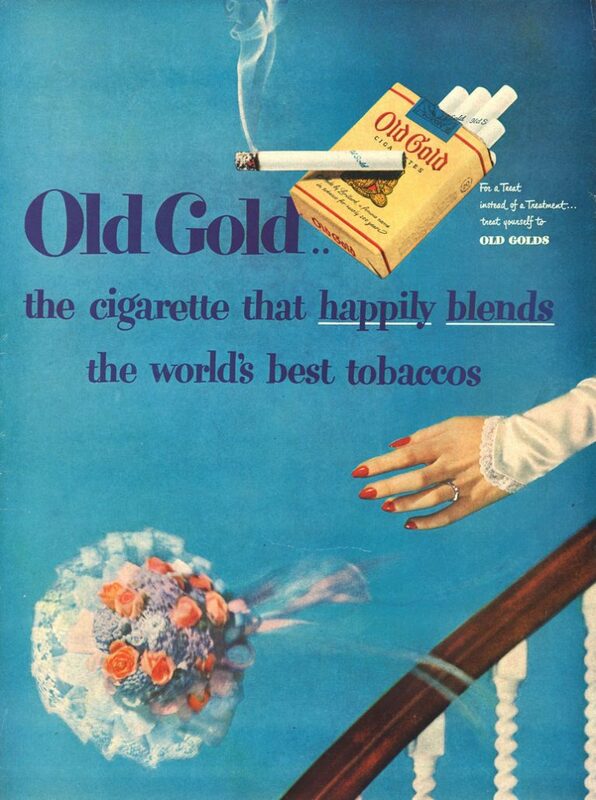 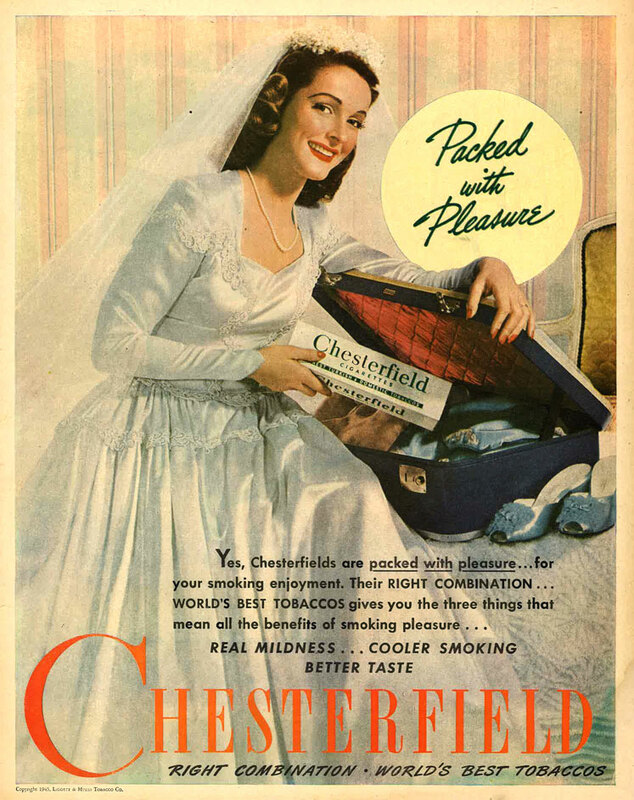 Tobacco and romance have always been inextricably linked. 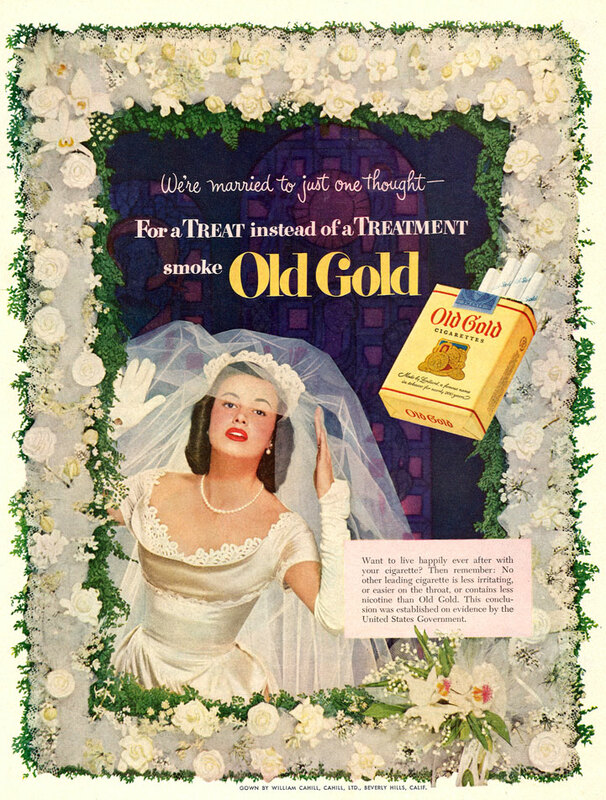 These vintage ads tie the allure of smoking to the sensational and glamorous aspects of beauty, young love, and sophistication that are embodied in the handsome groom and the lovely bride. 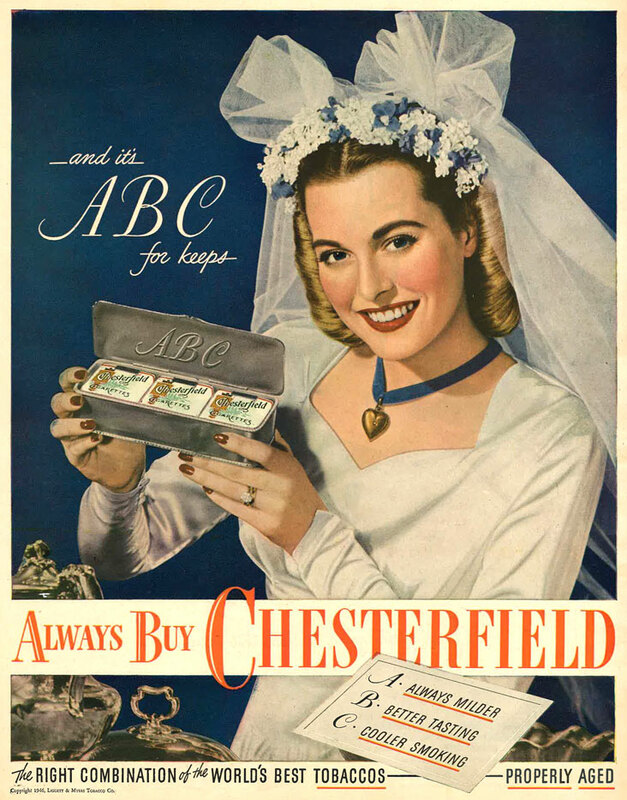 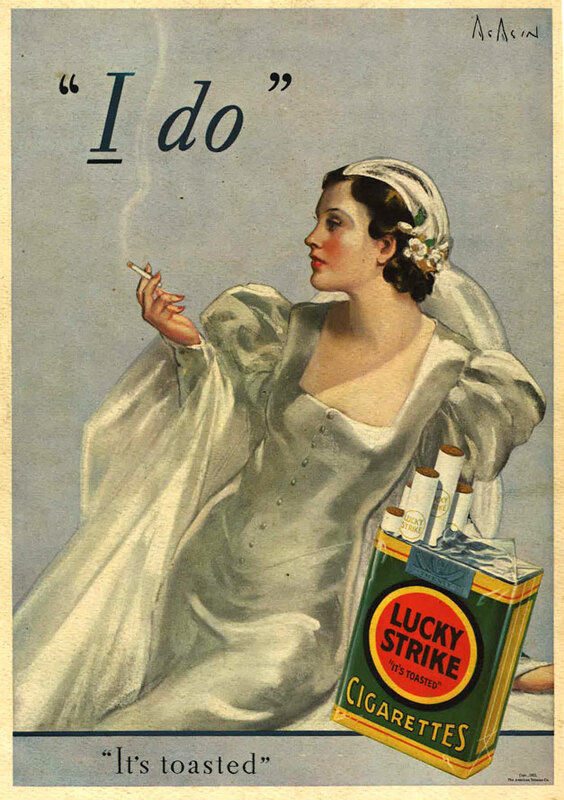 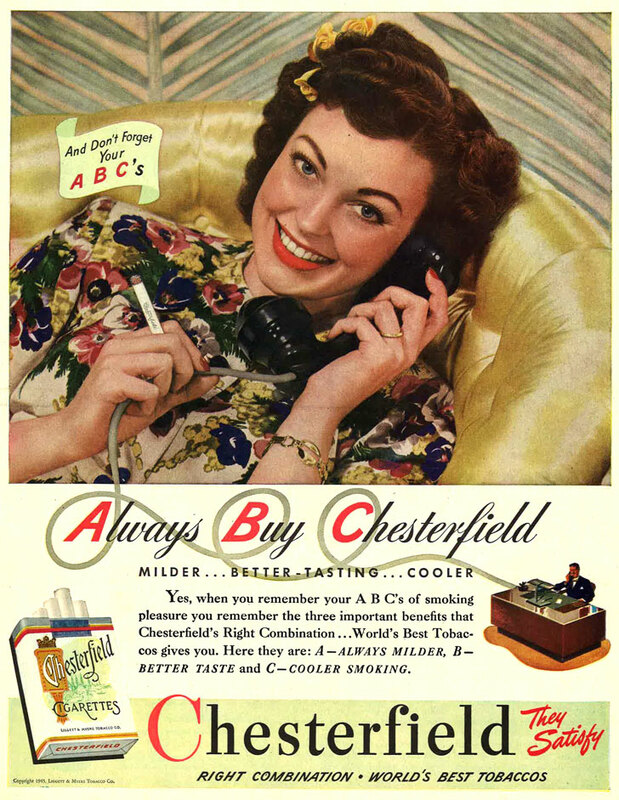 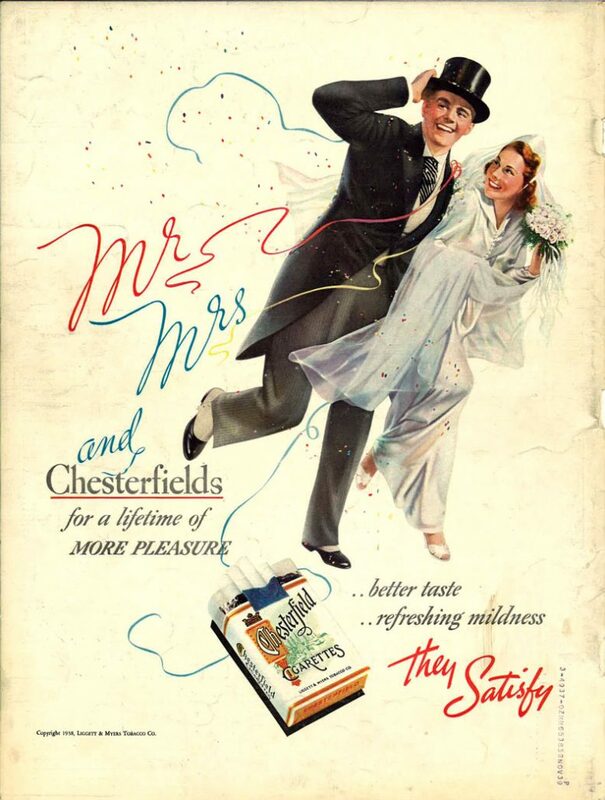 These ads promote cigarettes as a perfect wedding gift, a staple of young married life, or even the calming refuge for the cold feet and nerves of the wedding day.